Transferring Contacts, Email, Calendar, Music, Images and videos from Android to Blackberry is so simple. Today i let you know how you can witch from android to blackberry without losing your data. With this way you can move all android content to your new black berry device easily. The process is so simple and easy that you can do it with in a minutes. For this all you need a Gmail account and BlackBerry Link desktop application. But don’t forget to take the full backup of you android device, because if something went wrong than you can restore your data easily. So follow the the instruction below to transfer all you data and contacts from Android mobile phone to your new Blackberry smartphone. Step 1. Download and install the BlackBerry Link here. Step 2. Now go to your android device and connect it with your Computer. And transfer all your music files, images, videos and other data on your desktop. Step 3. 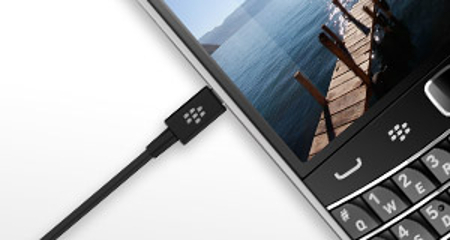 Now all run the blackberry Link app on your desktop to transfer all data to blackberry device. Step 4. Connect both your Android device and your BlackBerry to your PC. Now with this application you can drag and drop files between the two devices. Step 1. Go to your Android device setting > Account and sync Email, Calendar, and Contacts with your Google account. After this now all your contacts and emails are synced with your Gmail account. Step 2. Now go to your BlackBerry Z10 device, go to Settings, and click on Accounts. Step 3. In Accounts you have to add your Gmail account ID and password, which you used on your Android device to sync all your Email, Calendar, and Contacts. Step 4. After this your email, calendar, and contact from gmail account will now start to transfer to your BlackBerry Z10. That’s it now you can enjoy your new blackberry smartphone with all your contents.